Today Motiwala homeopathic medical college has completed more than 28 years providing outstanding homoeopathic education programs with senior & dedicated staff and an innovative curriculum with an enviable track record in the University Examinations. Motiwala homeopathic medical college also provides quality clinical care, homoeopathic research and serve as a best public information center on Homoeopathy Medicine. The college has a well equipped departments and lecture rooms for teaching and laboratories for practical training. 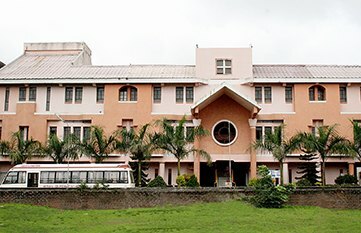 The Motiwala Homoeopathic Medical college should serve as a model for imparting of Homoeopathic education internationally. The students & teachers should be exemplary in their spiritual , ethical & Academic Standards. Add to the Academic Accumen of our students. Enhance the healing capabilities of our therapies through constant research & development. Build within ourselves a spiritual fortness based on the understanding & implementation of the holy writings , prayers & meditation. Leading to a culture ,free of all prejudices & accepting the oneness of mankind. The Motiwala Homoeopathic Medical college should serve as a model for imparting of Homoeopathic education internationally, The Students and teachers should be exemplary in their Spiritual, Ethical and Academic Standards.